Having walked this path of faith for several decades, I have come to understand that the Lord God of Abraham, Isaac, and Jacob does not require His people to do anything that He Himself is not prepared to demonstrate by example. In other words, whatever requirements He places on us in the form of commandments will have some corresponding requirement He has placed on Himself. For example, in the famous Akedah, the Binding of Isaac (Genesis 22:1-19), YHVH calls on Abraham to take his only son Isaac and offer him as a sacrifice. 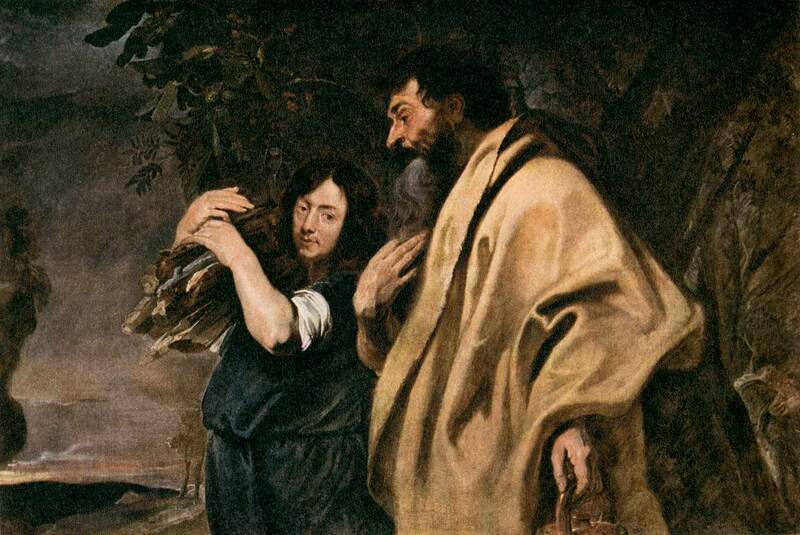 Abraham obeys, and on the way to the place Isaac asks him where the lamb for the burnt offering is. Abraham answers, “God will provide for Himself the lamb for the burnt offering” (Genesis 22:8). Many centuries later, we find that Messiah Yeshua fulfills that role of the Lamb of God who takes away the sin of the world (John 1:29-36, Revelation 5:1-14), just as prophesied in Isaiah 53. The holy example is that God Himself gave the His very own Son, withholding nothing to redeem mankind, and therefore demonstrating that those who choose to follow Him must hold nothing back in their obedience to His will. It would seem that the Almighty might have some trouble demonstrating how to perform the second of these commandments since there is no god beside Him (Deuteronomy 32:39; Isaiah 45:5). Who could be considered His neighbor? Who indeed but Himself? If He can swear to a covenant by no higher authority than His own (Genesis 22:15-17; Hebrews 6:13-14), then surely He could fulfill the role of neighbor to Himself. 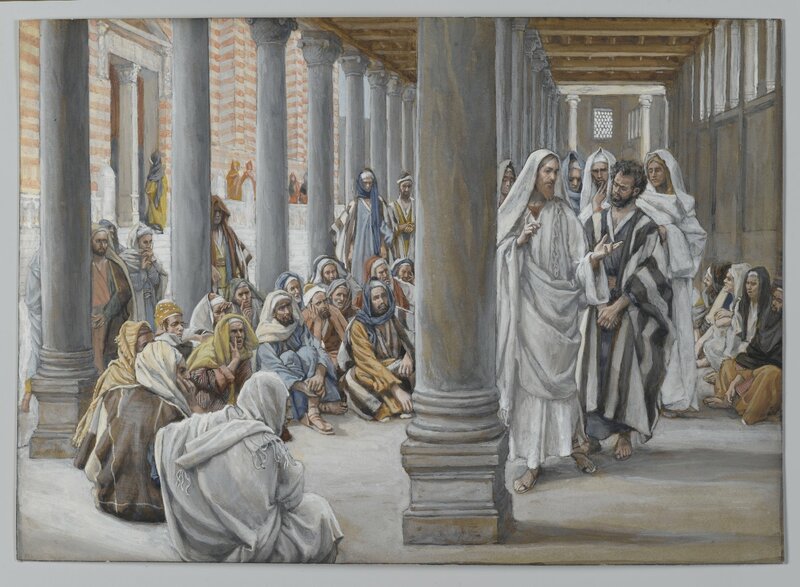 That, in fact, is what we infer from Yeshua’s final counsel to His disciples on the night of His arrest, and from His prayer to the Father on their behalf (John 15:9-13, 17:22-26). And what of that first commandment? If YHVH requires His people to love Him with all their heart, soul, and strength, to what has He committed His heart, soul, and strength? This is the most interesting thing I have learned this month. I had known that YHVH’s promises to our fathers Abraham, Isaac, and Jacob are eternal, and that He would bring all of Israel and Judah back to the Promised Land for His own Name’s sake (Deuteronomy 7:7-8; 9:5-6; Ezekiel 36:22-32). What I did not know was that this is the highest priority the Almighty has in His work on this planet. Think of it: not only is His very reputation as Sovereign of the Universe at stake, but it is something He wants to do with supreme joy, with everything in His being. This is the Gospel of the Kingdom, the good news which Messiah Yeshua proclaimed, and which is to be preached in the entire world before the end of this age (Matthew 4:23, 9:35, 24:14; Mark 1:14-15; Luke 16:16). It is also the New Covenant, the application of a new, circumcised heart in the people of the Living God. The details of this covenant appear one page earlier in Jeremiah’s prophecies (Jeremiah 31:31-37; Hebrews 8:8-12). What has been hidden from our understanding for too long is that Jeremiah proclaimed this New Covenant in the context of the restoration of all Israel, both the northern non-Jewish kingdom (known as the House of Israel, House of Joseph, and House of Ephraim), as well as the southern Jewish kingdom (known as the House of Judah). Salvation to the world comes through this Kingdom of Israel, which is nothing less than the Kingdom of Heaven. Why then should we doubt that the entire nation, all Twelve Tribes, will be restored to the Land under the reign of Messiah Son of David? The restoration of the Jewish tribes has been in progress for well over a century, and two years from now the world will mark the 70th anniversary of the rebirth of the Jewish State of Israel. The next step is the awakening of the rest of the nation, those “Lost Tribes” of Northern Israel. That awakening is happening even now, just as the Lord has promised. There is much to say about this restoration, and if you have about six hours you can hear some of it in the following podcasts on Hebrew Nation Radio. The first two links are from The Three Wise Guys, the Tuesday edition of the Hebrew Nation Morning Show. Hosts Gus, Rick, and Rollyn invited me to join them on November 10th and 17th to talk about this restoration of the Kingdom, and about the question of Ephraimite identity – meaning the identity of Messiah Yeshua’s followers as Israelites according to the Covenant. This is not a form of Replacement Theology, for we “new” Israelites in no way replace our Jewish brethren who are the core of the Israelite nation. The Covenant calls for the restoration of us all by faith in YHVH, and any gospel which does not embrace that entire picture is one which falls short of the glory of His great Name. Check out Margot Crossing’s blog, Lost Tribes Found. Evidence of this work of the Lord is the subject of the third podcast. On November 23rd our guest on The Remnant Road was Margot Crossing, a remarkable Australian who has a calling to the Lost Tribes. She relates her experience among the Mizo people of India and Myanmar who have awakened to their identity as descendants of the tribe of Manasseh, as well as her research and visits with other peoples of Asia who also claim Israelite identity. There is more information on Margot’s blog at this link: https://losttribesfoundblog.wordpress.com/. If this truly is the work of the Lord in fulfillment of His covenant promises, then you can expect to hear much more about this subject in the days to come.